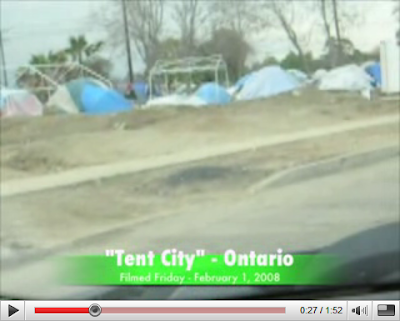 Mish's Global Economic Trend Analysis: Tent City, U.S.A.
ONTARIO - Nobody knows the exact population of Tent City, but the area has swelled beyond expectations. 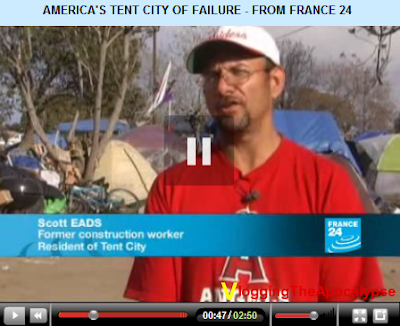 The dusty, undeveloped city-owned parcel at Cucamonga Avenue and Jefferson Street is filled with tents, campers and makeshift shelters. "It's growing and it's growing," said Carlos Villalobos, a Tent City resident the past four months. "And I haven't seen nobody leave." Villalobos said the encampment is popular because police, for the most part, leave people there alone. 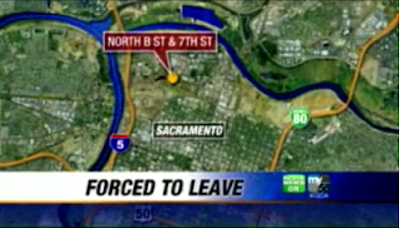 Police would typically harass homeless sleeping on the streets, he said. The city also provides water and bathrooms, and picks up trash. Churches regularly provide food, Villalobos said. Ontario was lauded by some people for giving its homeless a place to stay, rather than chasing them out of town or ignoring them. But some Ontario residents are upset about the arrangement. "I understand something needs to be done for these people, but I don't think the answer is Tent City," said Antoinette Hernandez, a 30-year resident. "You're just asking for sickness, violence or other problems." 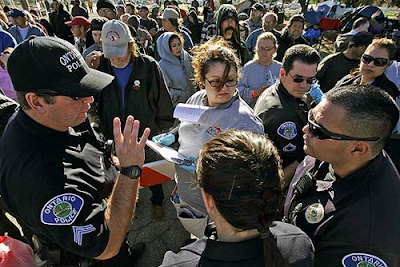 Officials begin thinning out the encampment, saying the city can provide space only for those who once lived there and can prove it. Two garden hoses and six outhouses for 350+ people. The music on this one is particularly depressing.